From "Revenge of the Fallen" to "Age of Extinction" and everywhere in between, this comprehensive collection of reviews includes every movie starring the legendary "Robots in Disguise"
Believe it or not, it has been 10 years since the first live-action Transformers movie hit the big screen. That’s an entire decade of gratuitous slow-motion shots, robots turning into General Motors vehicles, and, of course, explosions. What’s more, the fifth installment of the Tranformers films, Transformers: The Last Knight, is arriving in theaters next week. I would comment on how rare it is for a film series to receive five installments, but with the rising number of sequels being released these days, I’m not sure how much longer that will be a rarity. The Transformers movies seem to be the designated “dead horse” of the movie critic community. Whenever a new movie needs to be compared or contrasted with a piece of mindless entertainment, the Transformers series always seems to be brought up. However, if it weren’t for these films, the Transformers would have likely remained relics of the 1980s. 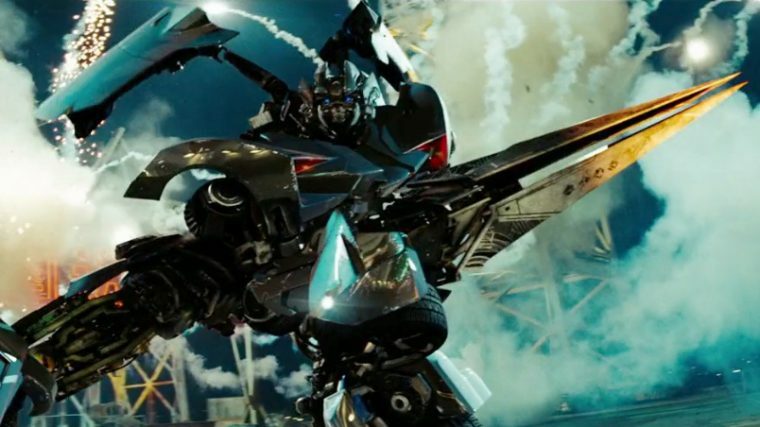 Michael Bay, for better or for worse, reintroduced the world to the Autobots and the Decepticons. Not only have the Transformers films had a big impact on the Transformers franchise as a whole. They’ve also influenced the world of modern cinema, ushering in a new age of cinematic universes based around nostalgic pieces of past pop culture. So are the Transformers films as bad as everyone says they are? Or are they possibly worse? Here at The News Wheel, we run right into a challenging mission, just like Optimus Prime and his Autobots. That’s why I recently spent a collective 10 hours binge-watching all four Transformers films. Get ready to transform and roll out as we take an in-depth look at every movie in the Transformers movie universe. Note: These reviews feature spoilers for Transformers, Transformers: Revenge of the Fallen, Transformers: Dark of the Moon, and Transformers: Age of Extinction. Learn About What the Transformers Transform Into: What do the Transformers Transform Into? Transformers, the aptly-named first movie in the franchise, revolves around the robots in disguise making their way to Earth to recover the AllSpark, a relic that was crucial to the creation of their planet. Their quest ultimately intertwines their fates with a teenage boy named Sam Witwicky, who is on the cusp of purchasing his first car. As both the heroic Autobots and villainous Decepticons search for the AllSpark, they soon discover that the Transformers have played a much larger role in shaping the modern world than ever imagined. The main character of the film, Sam, is portrayed by Shia LaBeouf, acting more akin to his role in Even Stevens than the slightly-unhinged LaBeouf himself. Although Sam may be the main character, he’s a pretty passive protagonist, with important plot points involving him only by happenstance. LaBeouf does a decent enough job portraying Witwicky as a kid who’s in way over his head, though many will find his antics to be more annoying than endearing. Still, the movie probably would have benefited from casting Josh Duhamel’s Captain Lennox as the main charcter, as getting home to your newborn child is a much more compelling motivation than trying to get with the most popular girl in your school. Said girl is Mikaela Banes, infamously played by Megan Fox. Fox phones it in through most of the movie, never properly reacting to situations like her character should. Other major human characters include Sam’s parents, a group of computer hackers, and the Secretary of Defense. However, none of these characters really contribute much to the plot, instead being dragged around from “Point A” to “Point B” because that’s where the plot happens to be going. Despite the movie devoting so much time to the humans, the characters the audience probably want to see most are the Transformers themselves. And to be fair, the Autobots that appear in the first Transformers film receive the benefit of actually having their characters fleshed out, probably because there are only five of them. When Megatron kills Jazz during the climax of the movie, I actually felt bad for the rest of his comrades, thanks to said development. Furthermore, the Decepticons actually employ espionage and sabotage to further their goals in this movie rather than just blowing stuff up, making them seem all the more threatening. Megatron might not appear until the last act of the film, but he does generate a sense of dread leading up to that point. In fact, this Transformers film is the only one in the series to effectively establish mood. When we first see Optimus Prime transform, the movie actually slows down to let that moment sink in. This awe-inspiring moment is only made more effective by the fact that the Transformers do look pretty cool, a testament to the work done by the special effects team. Their vehicle modes don’t look too shabby either, even if they are the least subtle examples of product placement ever put to film. During certain sections of the film, you really get a sense that Steven Spielberg was involved with this production. Bumblebee and Sam’s friendship has all of the hallmarks of Spielberg’s early family films, like E.T. Only instead of a little alien with a glowing finger, Bumblebee’s a giant robot with a laser cannon. In the end, the fact that the movie actually takes time to develop the characters and reflect upon the emotions its story generates manages to put it miles ahead of the other entries in the franchise. Sure, it still has a lot of dumb moments (like Bumblebee “peeing” on John Turturro) and the plot is primarily driven by circumstance, but under it all, it still has heart. 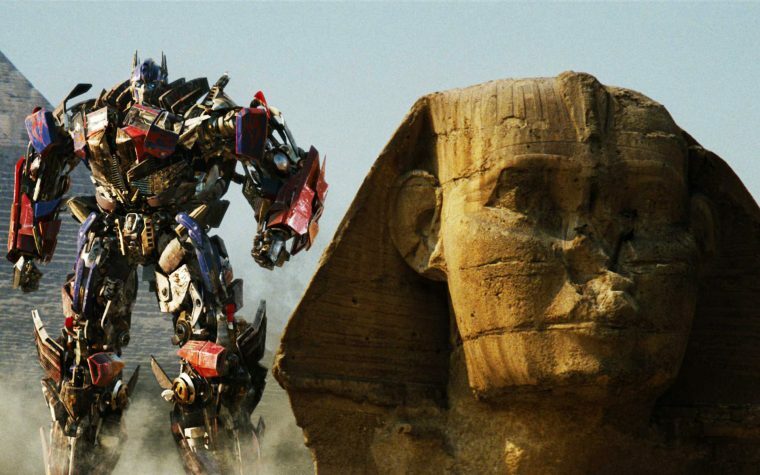 Why are the Transformers in the ancient city of Petra? Who knows? Released just two years after the original Transformers film, Transformers: Revenge of the Fallen expands upon Earth’s shared history with the Transformers. As it turns out, the Transformers arrived on Earth centuries ago to create a weapon, one that the Decepticons now want to find and use. It’s up to the Autobots and their human allies to stop the Decepticons once again, a mission that will take them around the globe. Two years is a rather short span of time between a movie and its sequel, providing precious little time to construct a complete story. Couple this with the writer’s strike that was happening during the film’s production, and you can gather that Transformers: Revenge of the Fallen isn’t going to have a solid narrative to build off of. It really seems like the production team for this movie wanted to go visit Egypt, France, and China, and just wrote a movie plot based around that. Indeed, while the locations in the film are exotic, the journey to those destinations leaves a lot to be desired. 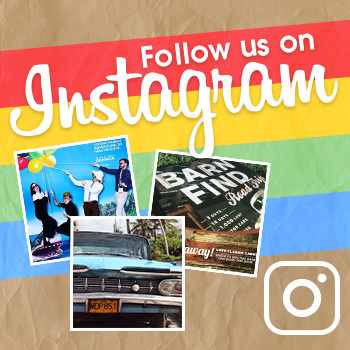 This time around, Sam is facing another benign chapter in his life: going to college. Yet once again, through events that passively happen to him, he is thrown back into the world of the Transformers. He also struggles with maintaining a long-distance relationship with Mikaela. At least this time around, Megan Fox’s acting isn’t quite as bad. By no means is her acting good, but as a whole she is a lot more tolerable. She isn’t the only character to improve, either. John Tuturro’s Seymour Simmons, a former agent of the secret government organization from the last film, is arguably the most enjoyable human character to watch, especially after any interesting characterization that Captain Lennox and his men had in the last film was cast aside. Dare I say, Tuturro’s performance was legitimately entertaining at times. Of course, this film still has its fair share of annoying characters. Sam’s mom spends a lengthy sequence high on pot brownies, resulting in scenes that made me physically cringe. The annoying characters aren’t limited to the humans, either. Mudflap and Skids, a pair of Autobot twins that evoke unfortunate stereotypes, are as offensive to the eyes as they are to common decency. Fortunately, the other new Transformers in this movie have much more appealing designs, many of which are rather unique. One of my favorites, Sideswipe, skates around using wheels instead of feet. With that said, some of the new Transformers might be just a bit too unique. One Decepticon disguises herself as a human college student in order to get close to Sam. This brings up a very good question: if the Decepticons can pretend to be humans, why disguise themselves as vehicles at all? All they need to do is transform into a high-ranking government official, and they have access to all of the top secret documents they want! “Damn, I’m good,” proclaims Sideswipe. But is the movie any good? Unfortunately, no. Bringing logic into Transformers: Revenge of the Fallen isn’t really a good idea. It’s more of an action-oriented film, instead. In that regard, the movie does have some pretty awesome fight sequences, such as one where Optimus Prime battles three Decepticons at once. However, that only makes the final battle between Prime and the eponymous Fallen all the more disappointing, as the whole sequence is over and done with in under two minutes. At 150 minutes, Transformers: Revenge of the Fallen is a relatively long movie with little plot to work with. As such, audiences are subjugated to more of Michael Bay’s signature “humor,” with crude scenes of robots farting and men walking around without any pants on. There are a few really cool sequences, but it feels like a chore to get through the rest of the movie just to get to them. 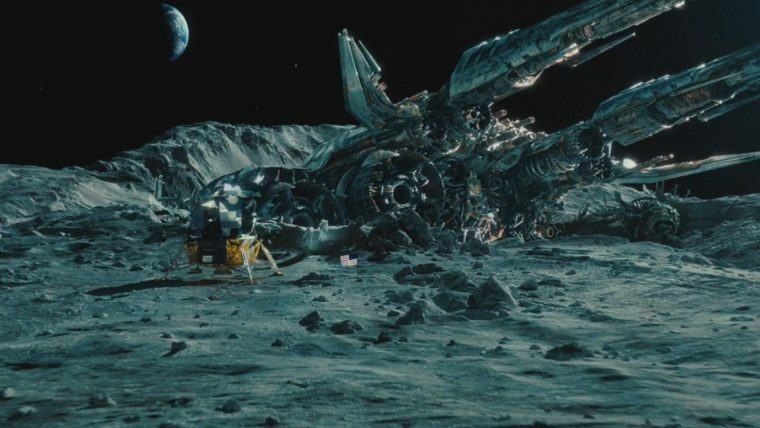 Transformers: Dark of the Moon opens with the Autobots discovering that an ancient ship from their planet Cybertron crash-landed on the moon during the middle of the Space Race on Earth. Hidden within that ship is Sentinel Prime, the original leader of the Autobots and Optimus Prime’s mentor. However, the Autobots and their human allies soon uncover an insidious Decepticon plot that threatens the entire human race. With a grammatically-incorrect title like “Dark of the Moon,” things look pretty bad for the third Transformers film right off the bat. However, despite this, Transformers: Dark of the Moon is considered by many Transformers fans to be a return to form for the franchise. At first, I would have to agree. The idea that the moon landing was used as a cover to investigate an alien ship is presented as a rather intriguing one. If you can’t tell what’s going on during the final battle, don’t worry. That’s only natural. However, any intrigue presented by the first act of the movie is abandoned during the remainder of the film. What takes its place is a series of action sequences that left me feeling nearly as exhausted as the characters in the film. The final battle lasts more than an hour, or roughly 40% of the movie. One over-the-top sequence involving a collapsing building lasts 10 minutes alone. Not even Optimus Prime can save the action sequences this time around, as he spends most of the climax tangled up in a set of construction wires. To make matters worse, the plot goes form being fascinating to being predictable. It’s pretty obvious right from the get-go that something is suspicious about a brand new Prime just showing up on the moon. So when Sentinel Prime, voiced by the late Leonard Nimoy, turns out to be a traitor, it’s not all that shocking. Combine that with the fact that the sleazy boss of Sam’s new girlfriend also turns out to be working with the Decepticons, and you have a pair of pathetically predictable plot twists. It is hard to like a movie where the main character is unlikable in every sense of the word. True, the first two Transformers movies had irritating characters, but they also weren’t in the starring role. That all changes in Transformers: Dark of the Moon, as Sam transforms from a slightly annoying individual into an insufferable brat, fueled by overacting on LaBeouf’s part. Sam complains about every single thing in this movie. The same Sam who wanted a normal life in the last film now acts insulted that he’s not invited on dangerous missions with the Autobots. Sam is a jerk to his co-workers, he’s a jerk to Bumblebee, and he’s a jerk to his new girlfriend, played by Victoria’s Secret model Rosie Huntington-Whiteley, who, bizarrely enough, is a much better actress than Megan Fox. A handful of likeable characters still remain. John Tuturro once again stands out as the most entertaining part of the film, along with Alan Tudyk, who plays Agent Simmons’ personal assistant. Furthermore, the film takes a bit more time than Revenge of the Fallen to flesh out the mechanical warriors on both sides of the war. However, that only makes it worse when fan favorites are treated with such disrespect. Starscream, a Decepticon who served as a major threat throughout the first two films, dies in the most embarrassing way imaginable, and Megatron’s ultimate demise isn’t much better. Transformers: Dark of the Moon starts out on the right foot. However, it quickly looses that footing, descending into a mess of mindless action sequences. Transformers: Revenge of the Fallen may have irritated me, but it never bored me. Transformers: Dark of the Moon somehow managed to do both. Set five years after the events of Transformers: Dark of the Moon, Transformers: Age of Extinction opens with Earth still recovering from a full-fledged invasion by the Decepticons. Transformers, regardless of their allegiance, are hunted down, with their parts used for experiments to create artificial Transformers. Those experiments, however, have unintended consequences, as an evil from the past rises up once again. Transformers: Age of Extinction was designed to be a soft reboot for the franchise. While still continuing the same overarching story from the first three films, it would introduce new characters and new storylines. Plus, as an added bonus, it would be able to distance itself from the mess of continuity that the past three installments had left in their wake. Instead of solving any problems, however, Transformers: Age of Extinction only creates a bigger mess, not only contradicting ideas introduced in the first few films, but ultimately contradicting itself at times. Age of Extinction swaps out Sam Witwicky for a new main character: Cade Yeager, played by Mark Wahlberg, leader of the Funky Bunch. Yeager is a single dad struggling to provide for his daughter. This is easily set up to be a much more compelling motivation than anything Sam “struggled” with in the past few films. However, instead of actually exploring this aspect, Cade spends most of the movie reminding people about how he’s an inventor, claiming the “patent” for random alien technology that he finds lying around. The villainous humans of the movie aren’t much better. Kelsey Grammer plays Harold Attinger, a member of the CIA dedicated to taking down every Transformer. At first, it appears that he wants to remove all Transformers from the planet in order to keep it safe from intergalactic war, a solid enough motivation. However, halfway through the film, his motivation completely changes, replaced with a desire to invest in a corrupt company in order to retire rich. Another villain working with Attinger claims to hate all Transformers because his sister died during the invasion of Chicago. Yet he works side-by-side with Lockdown, who is himself a Transformer. Lockdown is a decent enough villain, although his backstory and motivation are left unexplained and unclear. Perhaps the movie would have had time to flesh it out more if he didn’t have to split the title of main villain with Galvatron, a man-made Transformer possessed by Megatron. Man-made Transformers have the ability to separate into tiny particles due to being composed of Transformium, the dumbest name for a fictional element since Avatar’s Unobtanium. Yet despite having this ability, Megatron Galvatron and his legion of new Decepticons never really utilize it during the final battle. Optimus Prime and Bumblebee are the only returning Autobots in this movie, besides a brief scene where Ratchet is unceremoniously killed off. New Autobots include Drift, a samurai robot who just stands around and recites Haiku, Crosshairs, who is the most unpleasant Autobot introduced so far in the series, and Hound, a character who is somewhat tolerable due to being voiced by John Goodman. In the past, the Transformers at least looked cool, even if their personalities left a lot to be desired. However, all of the new Transformers look rather lame and cartoony compared to the old designs. Not even the Dinobots look all that impressive, and they’re robots who turn into dinosaurs! I don’t know how, but Michael Bay has found a way to make each of these films progressively worse. In the first three films, the human characters could get on my nerves, but at least I could look forward to the robots. 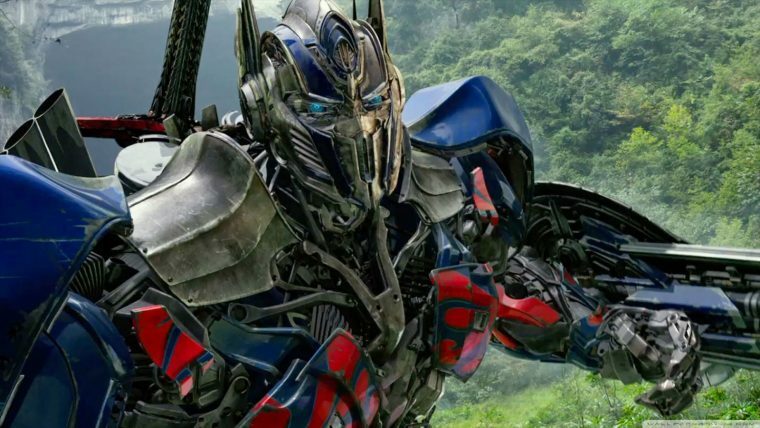 In Age of Extinction, both the humans and the Transformers are unbearably irritating. One of mankind’s greatest creations. Oh, and there’s a Transformer there, too. The Transformers film franchise started out with some semblance of promise. Sure, Transformers was kind of a dumb movie, but the concept of Transformers is pretty ridiculous in the first place. With stunning visuals and a decent amount of heart, Transformers introduced the “robots in disguise” to a whole new generation. Transformers: Revenge of the Fallen had a lot going against it right from the start. With a lack of a concrete script to work off of, Bay was pretty much left to his own devices, leading to cringeworthy “comedy” and unfortunate character portrayals. Still, the movie proved the franchise still looked stunning and exciting, so at least it had that. Congratulations, Age of Extinction! You managed to be the worst Transformers movie of them all! The third Transformers movie in the original trilogy of films began with the most promising story out of any of them. So when Bay and his team threw the story out during the last half of the film, the result was all the more disappointing. Any trace of endearing character traits began to disappear, leaving unlikeable players on a dull setting primarily made up of explosions and screaming. Age of Extinction was Bay’s chance to start over again with a blank slate. He instead took this opportunity and made the Transformers movies worse in every way imaginable. There were practically no likeable characters, no exciting action sequences, and no fascinating plot developments. The movie didn’t even have stunning visual effects going for it, as everything blended together into one unsightly mess. If this downward spiral in quality continues for Transformers: The Last Knight, then I really don’t think I have much to look forward to when I review it. Grandiose action sequences and explosions can’t cover up the fact that somewhere along the way, the Transformers movies lost their souls. The films now have more in common with cold, heartless machines than the spirited mechanical beings they set out to portray.